Google is using the Internet of Things (IoT) and artificial intelligence from its DeepMind acquisition to reduce energy consumption in its data centres by as much as 30 percent. In 2016, the two companies jointly developed an AI-powered recommendation system to improve the energy efficiency of the data centres, which run popular applications such as search, Gmail, and YouTube. But now DeepMind’s AI is directly controlling cooling in the facilities. Every five minutes, the cloud-based AI takes a snapshot of the cooling system from thousands of sensors and feeds it into DeepMind’s deep neural networks, which predict how different combinations of potential actions will affect future energy consumption. The AI system then identifies which actions will minimise energy usage while satisfying a robust set of safety constraints. Those actions are sent back to the data centre, where they are verified by the local control system before being implemented. “The idea evolved out of feedback from our data centre operators, who had been using our AI recommendation system,” said a statement from the company. 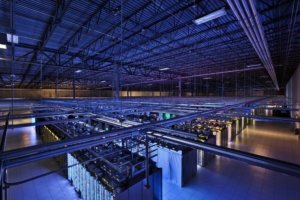 Ensuring that Google’s many thousands of servers in each of its data centres runs reliably and efficiently is mission-critical to the company’s day-to-day operations, so the company is keen to take advantage of these new efficiencies, while keeping a constant eye on safety. One method implemented by the deep learning specialists is to estimate uncertainty in the system. For every potential action – and there are billions – the AI agent calculates its confidence that this is a good action. Actions with low confidence are eliminated from consideration, on safety grounds. Another method is two-layer verification: optimal actions computed by the AI are vetted against an internal list of safety constraints defined by a data centre’s operators. Once the instructions are sent from the cloud to the physical data centre, the local control system verifies the instructions against its own set of operating and safety constraints. This redundant check ensures that the system remains within local guidelines for safe operation and Google’s human operators retain full control of the operating boundaries. In other words, although the AI now controls the cooling system – albeit with the capacity for human intervention – DeepMind has deliberately constrained the system’s optimisation boundaries to prioritise safety and reliability, meaning there is a risk/reward trade off in terms of energy reductions, according to the company. Automatic (smooth) failover to a neutral state if the AI does violate safety protocols has been built into the system, along with continuous monitoring and constant communication. Despite only being in place for nine months, the AI is currently delivering energy savings of around 30 percent on average, from 12 percent at the start of the programme. That’s because the system performs better as more data is gathered, meaning that the 30 percent improvements tally could continue to climb. The technology’s successful application in just one type of business suggests that data centres could be just the beginning of AI and deep learning applications in this field. In the long term, there is obvious potential for the technology to be applied in other industrial settings, including within the energy sector itself – or smart city deployments – just as scientists are warning of a tipping point in climate change. More, DeepMind’s adherence to safety guidelines and its deliberate limiting of the system to minimise risk are instructive, as is building in human agency as a failsafe: a sensible model for future implementations. The post Google using DeepMind AI to reduce energy consumption by 30% appeared first on Internet of Business.